Mark Wynter has enjoyed an extraordinary career for over 50 years on stage and screen. Back in the early 1960s, he was also one of Pye Records’ biggest stars with four Top 20 hits, including ‘Venus In Blue Jeans’ and ‘Go Away Little Girl’. In total, he enjoyed nine hits between 1960 and 1964. Many of these tracks make their debut on CD. Hailing from Woking, singer and actor Mark Wynter has enjoyed an extraordinary career for over 50 years on stage and screen. 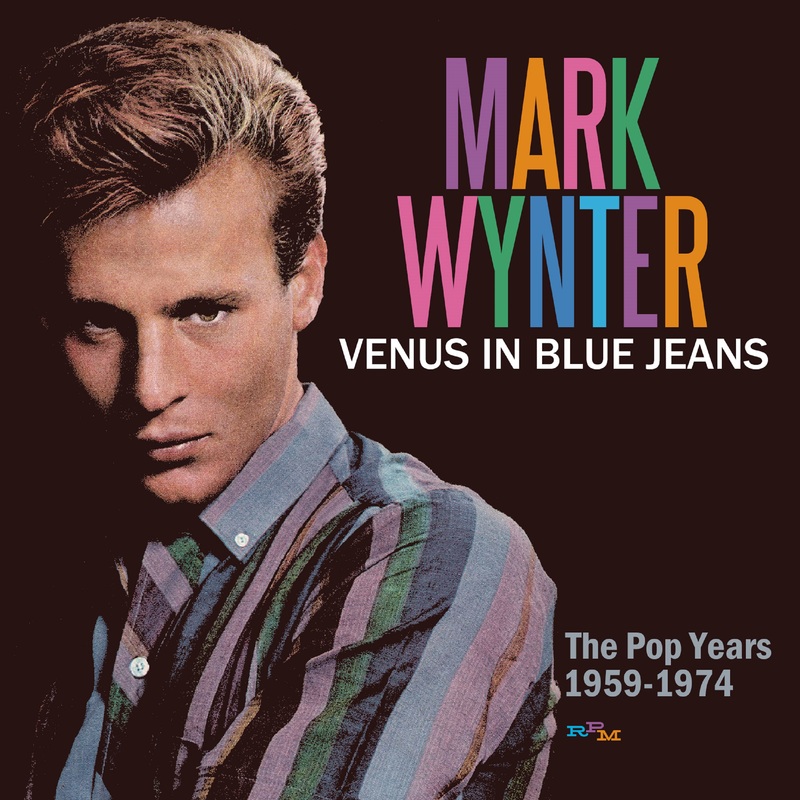 Back in the early 1960s, he was also one of Pye Records’ biggest stars with four Top 20 hits, including ‘Venus In Blue Jeans’ and ‘Go Away Little Girl’. In total, he enjoyed nine hits between 1960 and 1964. Mark is still active, both as a singer and as a stage actor and has been intrinsically involved with this new 3-CD anthology of his 60s and early 70s recordings, the most comprehensive to date, with all of his pop tracks for Decca, Pye and subsequent labels. Many of these tracks make their debut on CD; others have long been out- of-print. The package also boasts many rarities taken from Mark’s own archive, including his first-ever demo recording from 1959, ‘I Go Ape’, and seven other previously unissued tracks. Other highlights include tracks from various period TV specials, both sides of a rare 1969 single ‘Where Is She’ / ‘Good Money’ and three tracks from Mark’s cast recording for Aladdin. Mark has also contributed many rare photos to the accompanying colour booklet and has been interviewed for the detailed sleeve-notes.